"We makin' music with our bodies!" 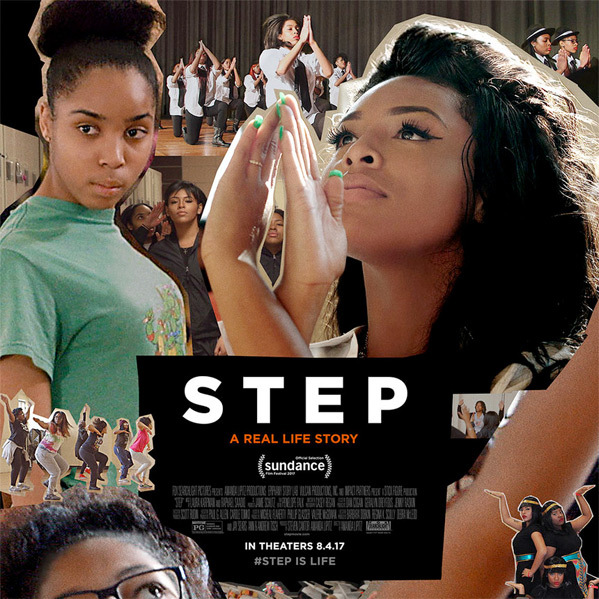 Fox Searchlight has revealed the first official trailer for an outstanding documentary titled Step, which premiered at the Sundance Film Festival this year where it received rave reviews from critics and audiences. The film follows a few different teenage women at a special high school in Baltimore, Maryland who are part of the prestigious step dance program. The school is designed to help them get into college, many of them being the first in their family to attend, and it shows how step dancing is a way for them to come together and focus on what maters - expressing themselves creatively. I caught this film at Sundance and really, really loved it. It's exciting, and energetic, and inspiring, and moving, with just the right balance of heart and honesty. I will be strongly supporting it throughout this year. See below. Step chronicles the senior year of a girls' high-school step dance team against the background of inner-city Baltimore. These young women find a unity through their team that pushes them to challenge themselves on and off the stage. Empowered by their teachers, teammates, counselors, coaches and families, they chase their ultimate dreams: to win a step championship and to be accepted into college. Step is directed by filmmaker Amanda Lipitz, making her directorial debut after working as a producer on Broadway for years. This first premiered at the Sundance Film Festival earlier this year. Fox Searchlight will be releasing Lipitz's Step in select theaters starting August 4th this summer. It's highly recommend. Who's interested?